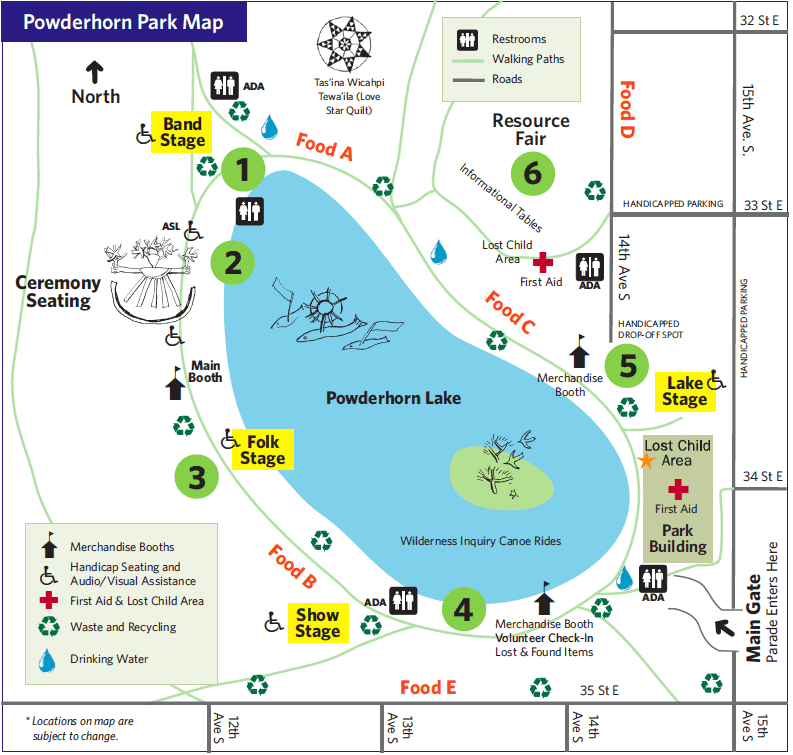 The MayDay Festival in Powderhorn Park follows the MayDay Parade and features music, dancing, poetry, foods, canoe rides, and more! Help Make May Day Zero-Waste! In the Heart of the Beast has a goal to recycle or compost at least 80% of what is created onsite during the festival. Everything you purchase at the MayDay Festival can be recycled or composted. Use zero-waste stations around the festival grounds for your recycling and organics. Put all plastic and glass bottles, metal cans, and clean paper into the recycling cart. Food waste including bones, soiled paper, paper plates, compostable utensils and cups go in the organics cart. Look for the green feather flags to find recycling/composting stations! Bottles of water will not be sold by vendors. Bring your empty water bottle or use a cup provided and enjoy refreshing cold water throughout the festival grounds provided by Tap Minneapolis. Look for the red flags!